For more than a century, from George Melies' "A Trip to the Moon" to Stephen Spielberg's "E.T." and "Close Encounters" to last summer's blockbuster sequel to "Independence Day", we have pondered a question. What will happen if we ever came into contact with extraterrestrial life forms? Carl Sagan's book "Contact" and Jodie Foster's movie of the same name explore one possible scenario. In it, a Search for Extraterrestrial Intelligence (SETI) scientist (played by Foster) discovers a signal. It keeps repeating a sequence of prime numbers. They are originating from star system Vega. It is the fifth brightest star visible from Earth. Even if Contact's version of an alien encounter is more likely than that presented in Spielberg's E.T., the possibilities are worth pondering. And yet experts believe that the odds of receiving a radio transmission composed of prime numbers or encountering intelligent extraterrestrial life in the near future are "astronomical." Even with Hillary Clinton's promise that if elected president, she would open up the "X-files" (Area 51). But the odds may be increasing. This is due to continuing advances in technology. And it is also due to money. Russian billionaire and Breakthrough Prize co-founder Yuri Milner, along with famed physicist Stephen Hawking, have announced Breakthrough Starshot. It is a 20-year voyage. It will go to the Alpha Centauri star system. Should the existence of planets in the Alpha Centauri system be confirmed, Starshot could provide us with the best measurements of an exoplanet atmosphere we could ever hope to get this century. Milner will spend $100 million to fund the project. Facebook's founder and CEO, Mark Zuckerberg, is on the project's board of directors. The goal of NASA's Kepler Mission was to find terrestrial planets in the habitable zone of stars both near and far. Liquid water and possibly life might exist there. 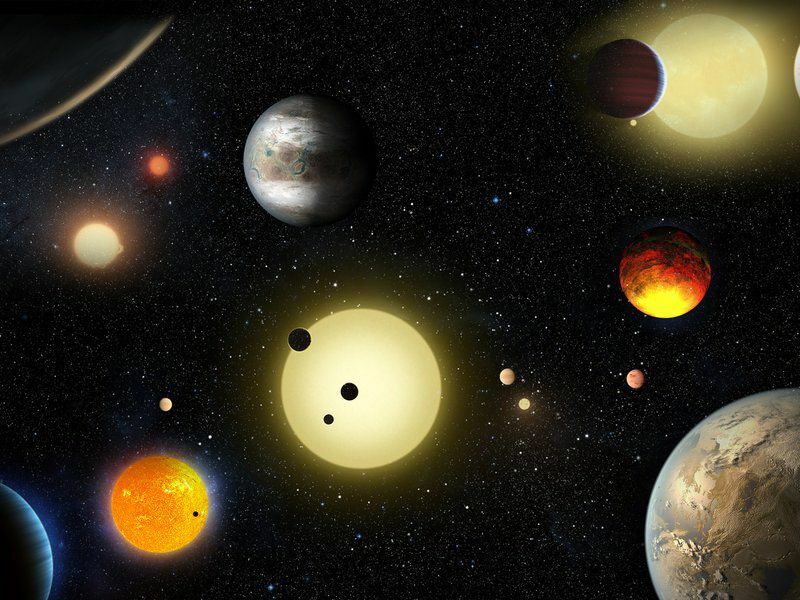 To date, Kepler has confirmed the existence of 2,337 exoplanets. In a press release issued by NASA, chief scientist Ellen Stofan said, "This gives us hope that somewhere out there, around a star much like ours, we can eventually discover another Earth." Christof Koch is president and chief scientific officer of the Allen Institute for Brain Science. He believes most people will be excited to learn that there is intelligent life out there. "For some, 'contact" would be a wish come true. And fill us with awe. But for others, it would raise concerns. One can't assume that alien cultures are by definition benevolent," Koch says. "If we look at the history of our world, lesser civilizations were often destroyed by more advanced ones. Would the same happen to us?" Hawking has warned against sending messages out into space for this very reason. Koch has devoted his life to defining what consciousness is. This is whether it is the Internet, robots, animals, etc. Since it is doubtful that our first contact will be with humans from another planet, it is important for us to understand what consciousness is. This is so we can better understand what we discover as we explore space. The first discovery would probably be bacteria, Koch says. That might excite some scientists. But it likely won't excite the general public. Another scenario might be a radio signal. Its origin would be questioned. Was it a deliberate signal sent to us? Or is it random noise. If it's the latter, can it be explained scientifically? "I am not holding my breath for a signal that includes prime numbers," Koch says. Mary A. Voytek is the senior scientist and head of NASA's Astrobiology Program. She started Nexus for Exoplanet System Science. It searches for life on exoplanets. She notes that NASA scientists are looking at the most extreme conditions on Earth. They want to better understand what conditions can support life throughout the universe. "If we can determine what makes a habitable planet on Earth, it will help guide us to look for conditions in the universe," she says. Voytek notes that NASA acknowledges that the discovery of life has significance beyond science. "To fully understand the societal implications, we must talk to the experts, scholars in sociology and the humanities as well as theologians." "When I give lectures about my work, most people are excited about the possibility of the discovery of extraterrestrial life," Voytek says. "This is nothing new. The ancient Greek atomists in the fourth century B.C. wrote about it." Douglas Vakoch is president of Messaging Extraterrestrial Intelligence (METI). He says the majority of people believe that intelligent life is widespread in the cosmos. He agrees that a discovery of something like a radio signal would result in arguments. There also would be a fading lack of interest due to time. "It could take decades or even hundreds of years for us to get a response from a signal we send out. For people who are used to instant communication, this will be frustrating," Vakoch says. Others think we'll have a more dramatic experience. Susan Schneider is a professor of philosophy and cognitive science at the University of Connecticut. She believes that if we do find intelligent life, it will be most likely be in the form of super-intelligent artificial intelligence. "For some people, this would be hard to accept. Discovering a civilization that is no longer biological would be scary for us." But Schneider is optimistic. She believes most people will find the discovery of benevolent intelligent life exciting. "People are excited by the unknown. And the discovery of a new civilization might have many potential benefits. Perhaps an advanced civilization will share their knowledge with us," Schneider says. Why wouldn't everyone be exited if life was found elsewhere? I think I would be scared to meet a alien. They look gross and i just hate creatures like that at the same time it would be cool to meet a alien. 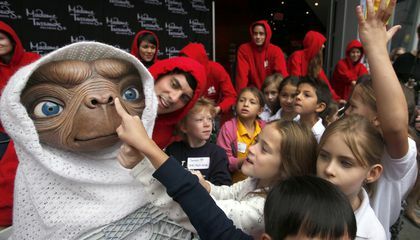 Now this is my opining on how i would react if they found alien life i would want to know what they looked like and talked like and there launge i would be shoked and trying to understad if this is really what we would want in the world to study it what if somethings in the movies where true im just wondering. yes it would be because it would be cool to know that some where other than earth there is another living species. Aliens are real there is proof ive seen viedos of aliens like alien 51 and miliatary bases. Because the "alien" life form would be odd and a little scary. For example, I would be scared out of my wits for who knows what the life form does and will do. Like if we found an alien, who knows what it will eat? It may murder us in our sleep while acting like an angel during the day. Because people have been debating is there is life away from earth, so the people who think that there is life away from earth, they will be excited to know they're right, and some people are just introsted in that kind of stuff.